Winter has gone, no more snow, spring breeze greets from every corner of town. Excitement seeps through our minds, especially for some of us who haven’t felt spring before. 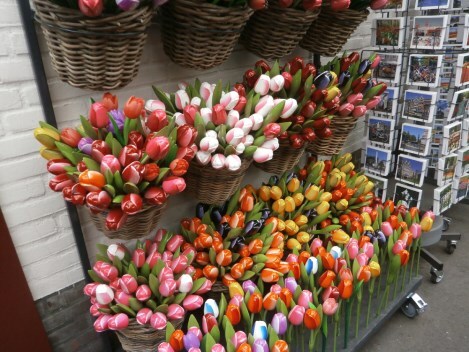 Start from March, we can enjoy the blooming flowers which beautify the side of roads and edge of houses’ windows. This is the perfect time to visit the most beautiful spring garden in the world. 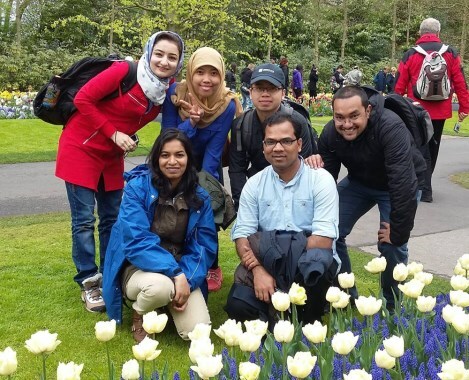 We are lucky that we were in The Netherlands in this period, so we wouldn’t miss Keukenhof! 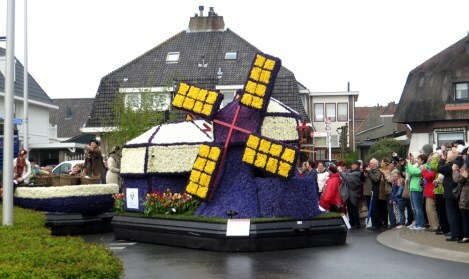 Keukenhof is located in the north to the town of Leiden. 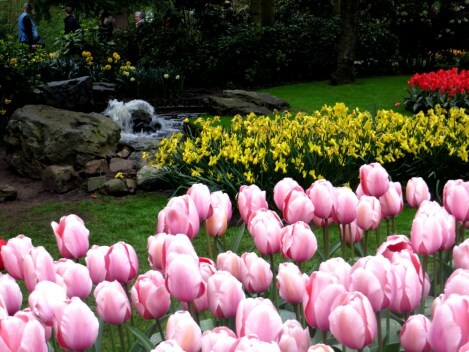 This 32-hectares garden is filled by more than 7 million colorful tulips, daffodils and hyacinths. In 15th century, it was a garden where herbs and spices were grown for the neighboring castle of countess Jacoba of Bavaria. There are special events held during 8 weeks of its opening times. 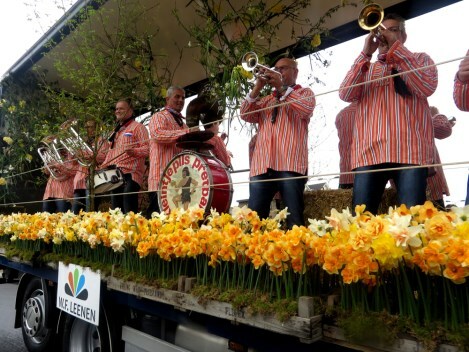 The most interesting one is Flower Parade which takes place on 25th of April. 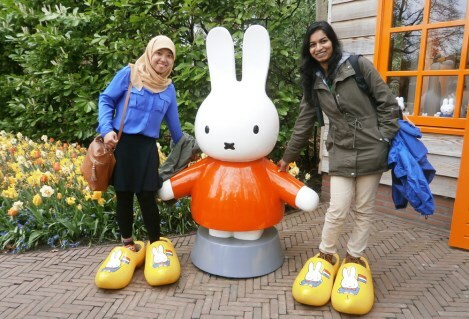 Our Keukenhof trip was arranged by socio-cultural officers of UNESCO-IHE, Miss Marielle van Erven and Miss Jolanda Boots. Some of us who were interested in this event, registered ourselves and paid 29 € for entrance fee and bus. In the morning of April 25th, we began the trip. There were 110 participants in two full buses. Not all floodies joined, because some of us wanted to ride bike to get there. 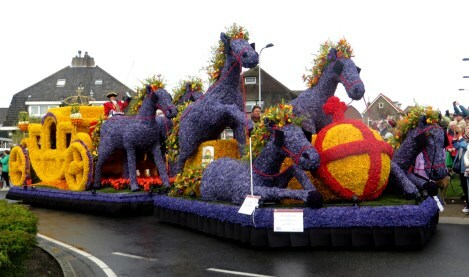 We departed from UNESCO-IHE at 08.30 to see the 68th edition of yearly flower parade on our way to Keukenhof. 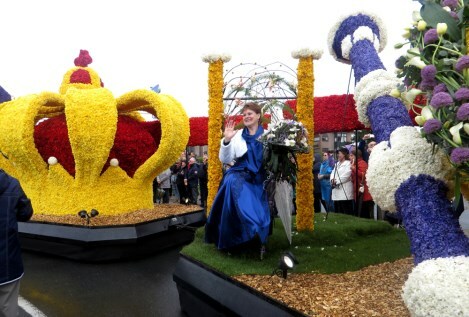 This year’s theme is “200 Years Kingdom”. 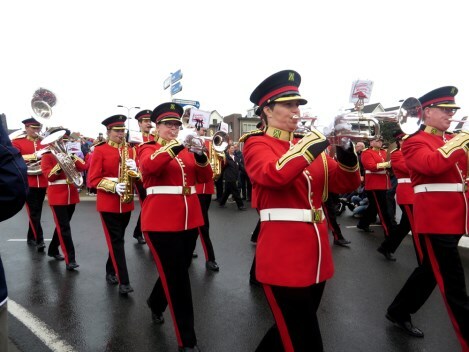 The parade took place in Noordwijk, which passed through the different villages in the region with distance of 40 kilometres in one day. 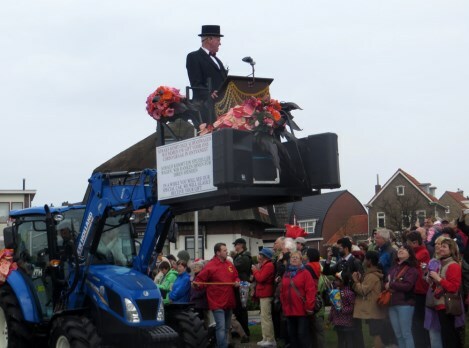 The procession comprised of 20 large floats and more than 30 decorated luxury cars, interspersed with marching bands. It was amazing view, although the weather was not sunny enough for pictures. 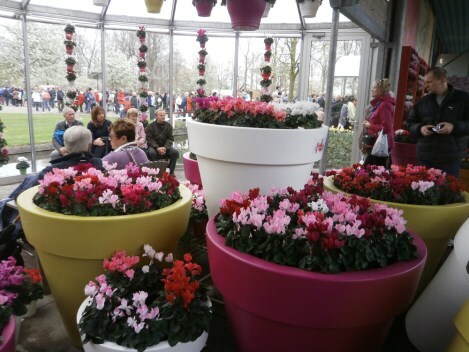 After around 2 hours, we continued the trip to Keukenhof. Then we arrived there at 11.00, and without any hesitation, we entered the garden. Look at what we saw that day! Hmm, I forgot to mention this thing… most of beautiful parts is located outdoor, so we still had to wear layers of cloths although there are some indoor pavilions to enjoy the flowers. If you wanted to buy something (souvenirs, bulbs, drinks and snacks), don’t forget to prepare cash because most stands only accepts cash. 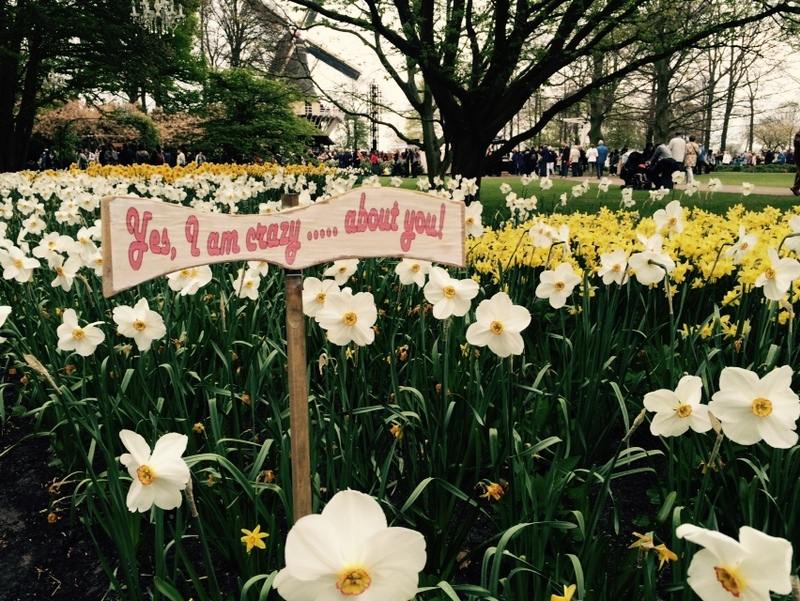 Don’t forget to visit Nijntje, this cute white rabbit, pavilion!! Time went by fast. We had to finish the trip at 16.00. 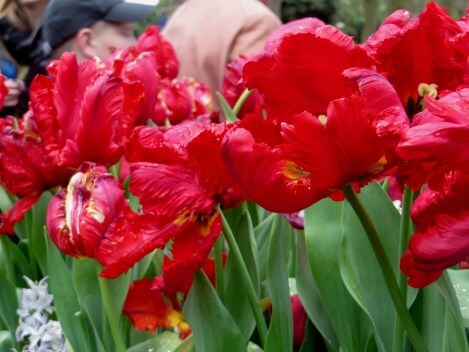 But if someone feels it’s not enough yet to leave this beautiful garden, just inform the organizers and you can go back by taking Arriva Keukenhof express bus to the train station of Leiden, then the train to Delft. Finally we arrived around 17.00 in Delft. 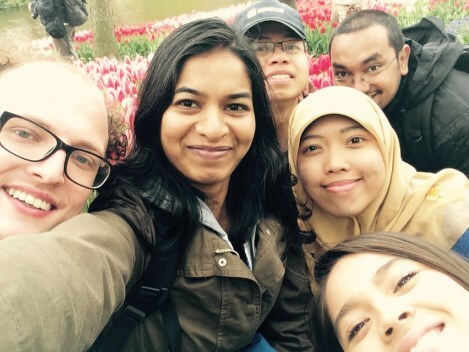 Then floodies should take more time to travel because we were still living in Student Hotel, Den Haag. Time to take a rest, share the stories and pictures at home!